Hey everyone! Sorry I've been a bit slow with blog posts lately. My camera had gone missing (all photos in this post are with my iPhone and my laptop has just been so slow! I've been saving a lot of money recently so hopefully won't be long before I get a new one. Anyway, before I ramble to much let me get back to the point of this post. 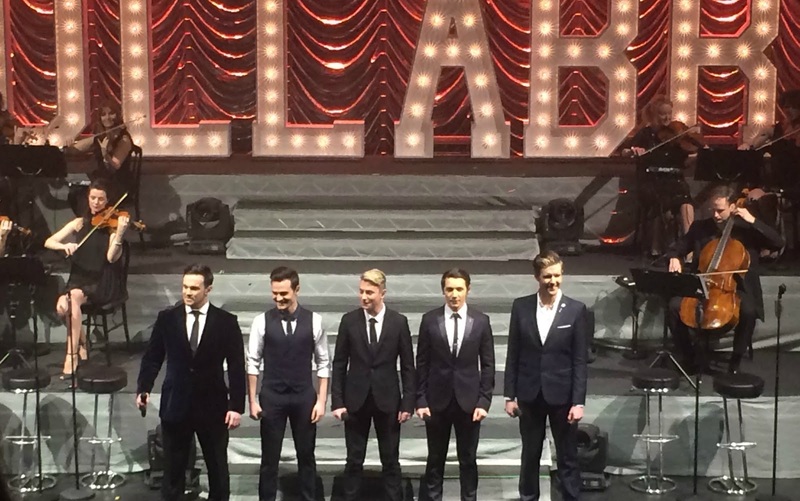 If you follow me on twitter then you will know I've become a massive fan of the band Collabro. 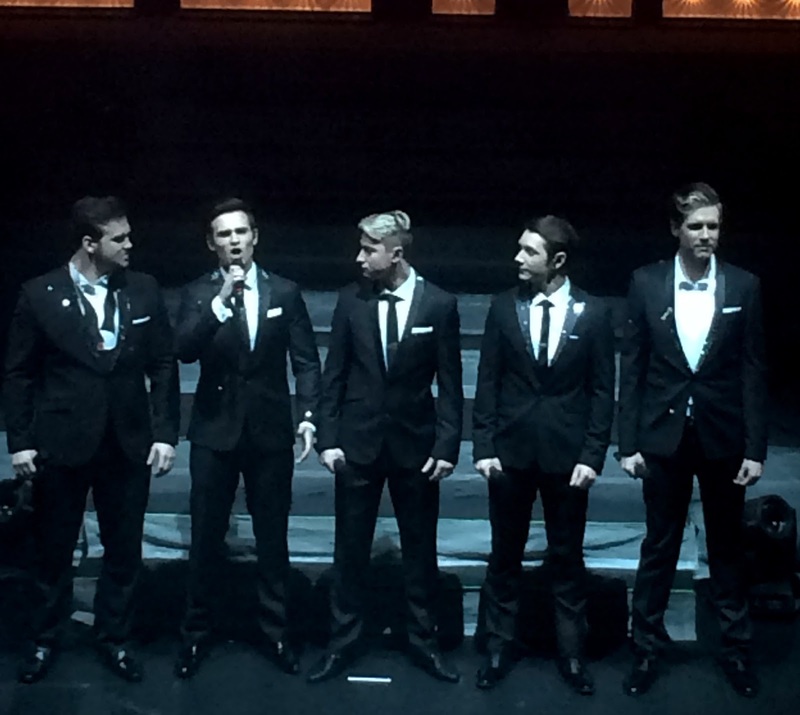 If you've never heard of them they are a UK musical theatre boy band who won the 2014 series of Britain's Got Talent. 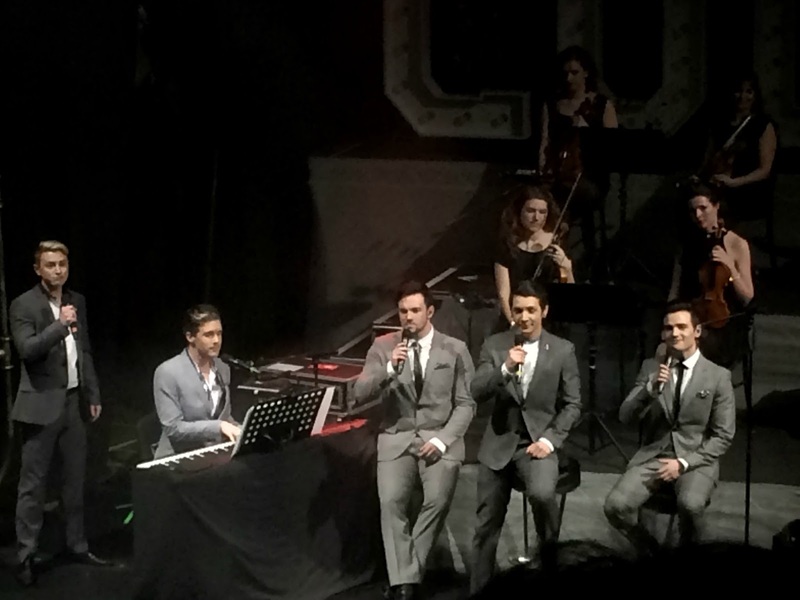 The band consists of five members Matt, Jamie, Richard, Michael and Tom. When Britain's Got Talent was on I was actually in Turkey working with Thomas Cook as a kids rep so I didn't really get to see any of the show apart from youtubing Bars and Melody's audition because I heard so much about them that I thought they were the winners. I then decided to check out who actually won BGT when I came back which is how I came across the boys and to say I was instantly blown away by them would be an understatement. The fact their Britain's Got Talent performances were songs from one of my favorite musicals and the fact they were a boy band just drew me in instantly. I remember thinking that I really want to see them live and then saw they were touring but only had one date in London which was sold out. I was extremely disappointed but then a very nice person contacted me on twitter and said that he was selling two tickets at face value. I immediately set yes, picked up the tickets and then waited in eager anticipation and excitement until the 8th of February which was last night. Here are some of the photos from the night. 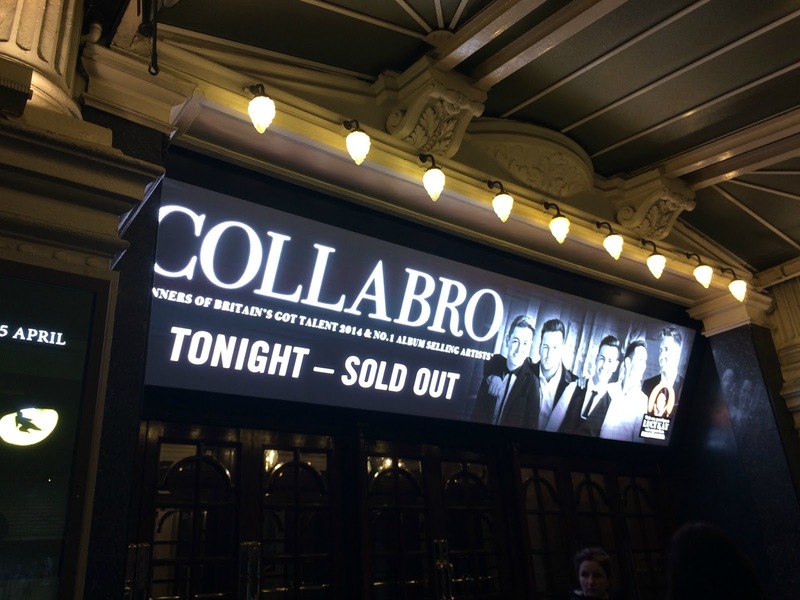 The boys show was at the famous London Palladium. I've only been here twice previously, once to see Scrooge with Tommy Steele in 2006 and the other in 2012 to see the Britain's Got Talent auditions. I watched loads of interviews with the boys to find out what made them want to do this and how they got here and I will admit that I did feel a sense of pride from standing outside the theater. I think it's so amazing when people who are a very similar age to you are living their dream. It is extremely inspiring and pushes me more to go after mine. It just made me realize that no dream is ever too big if you really want to go for it and that there are different routes to take. As you can see from the photo above we had pretty fab seats. Second row in the Royal Circle bang in the middle and the view was amazing. I absolutely love the lights that they used to spell out the band name too. I don't know about you but I definitely need one of those in the letter F! They are so cool! 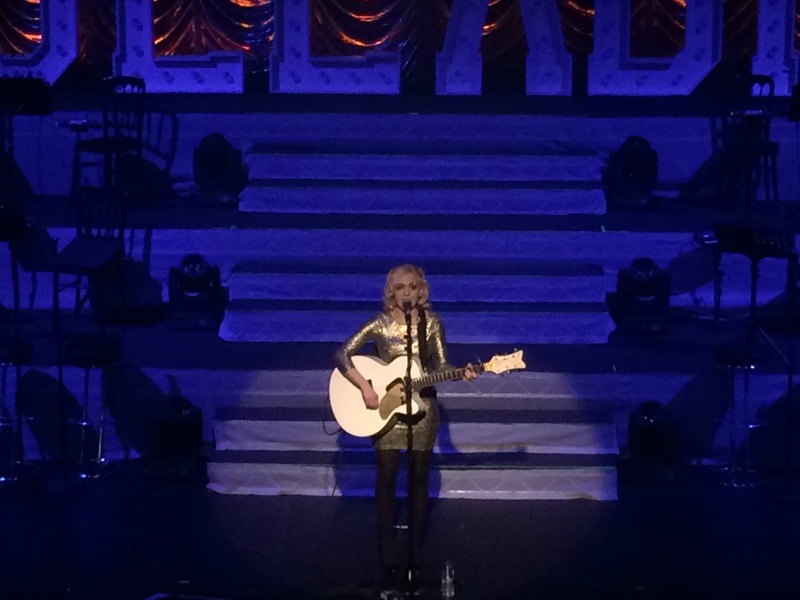 The supporting act of the night was the incredible Philippa Hanna. She is absolutely gorgeous and her voice is truly amazing. She is unsigned and I really have no idea how. Her songs really struck a cord with me and I definitely shed a tear at a couple. She was amazing at interacting with the audience and her guitar skills are out of this world. I have wanted to learn the guitar for a good few years now and I think she has definitely pushed me to do just that. Some of the songs she performed included Raggedy Doll, Happy in my Skin, I Am Amazing (beautiful song!) and my personal favorite of her's Lighthouse. She was unbelievable and I am gutted I didn't get to meet her after as she was in the lobby signing copies of her album but I have managed to find her on iTunes so I'll definitely be downloading those songs and I'd highly recommend all of you to as well. 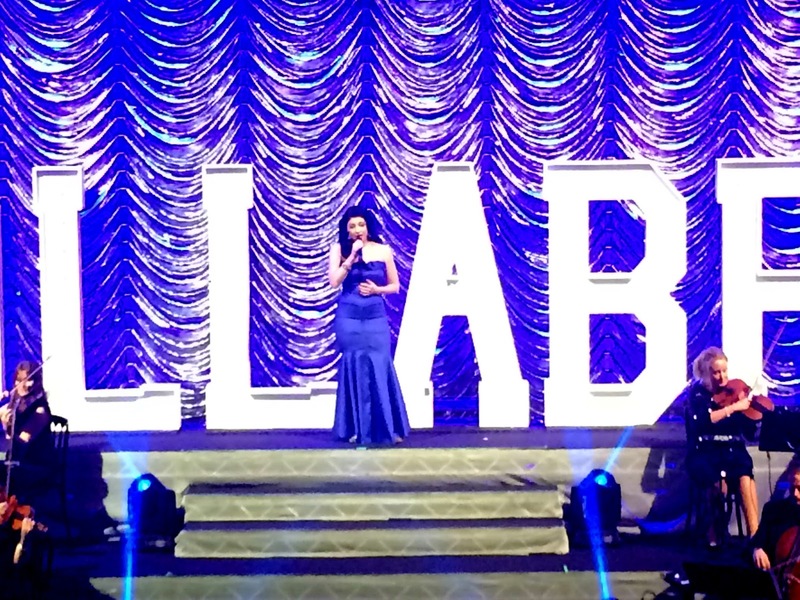 Lucy Kay was runner up on Britain's Got Talent and because both acts developed a very strong friendship the boys decided to invite her on tour with them as their very special guest. Tom described her as 'one of the guys who looks pretty good in a dress' when introducing her to the stage. This made me laugh but they weren't wrong. She is beautiful and has an absolutely incredible voice. I've never really been into opera before. However hearing an opera singer on TV is nothing compared to hearing them live. Lucy's voice is so spine-tingling and I literally had goosebumps the entire time she was performing. 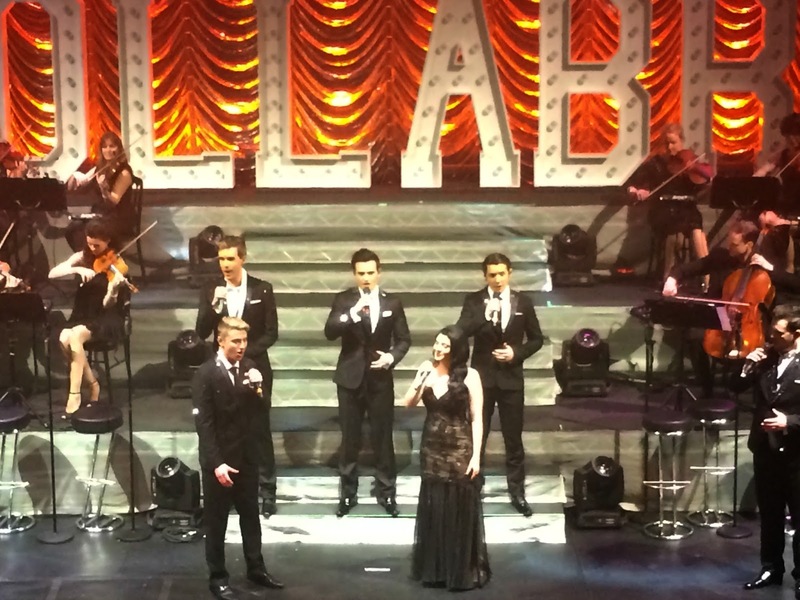 She appeared in between sections of Collabro's tour to allow them to do a few outfit changes. My favorite performance was definitely Nessun Dorma and the song she sung for her audition. She received the first standing ovation of the night from the entire palladium and blew the roof off. It was simply stunning. She then did a duet with the boys which was amazing. I'm definitely going to see her live again in the future as she's incredible. 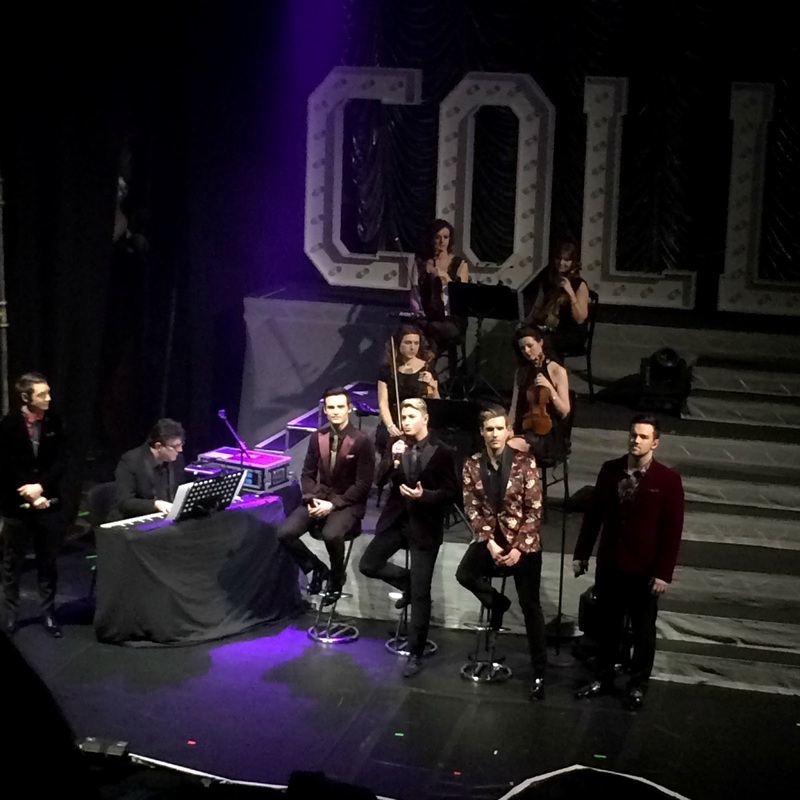 After Philippa Hanna the main act Collabro were introduced by the boys voices talking about the moments since they won the show and by Dec announcing the moment Collabro won Britain's Got Talent. The boys appeared in front of their band name in the order they appeared in on their Britain's Got Talent audition which made it just that little bit more special. The first song of the night was Anthem from Chess which I had never really heard of until I listened to their album but it's just so beautiful. Here are a few more photos that I took from the show. I do apologize for the quality. I've misplaced my camera and because it was a theater I shouldn't have been taking photos anyway so shh!! Enjoy! This was the song that I was most eager to hear being performed as it's my favorite song from the album. I actually tweeted Matt and asked if they would perform it. I already knew they couldn't give any spoilers away but I thought I'd try my lucky anyway. He however did respond with a 'hmm maybe' so I kinda had a feeling that meant a yes anyway but I was absolutely blown away when I heard it. Probably the most emotional song you will ever hear and a song that most people can probably relate too. 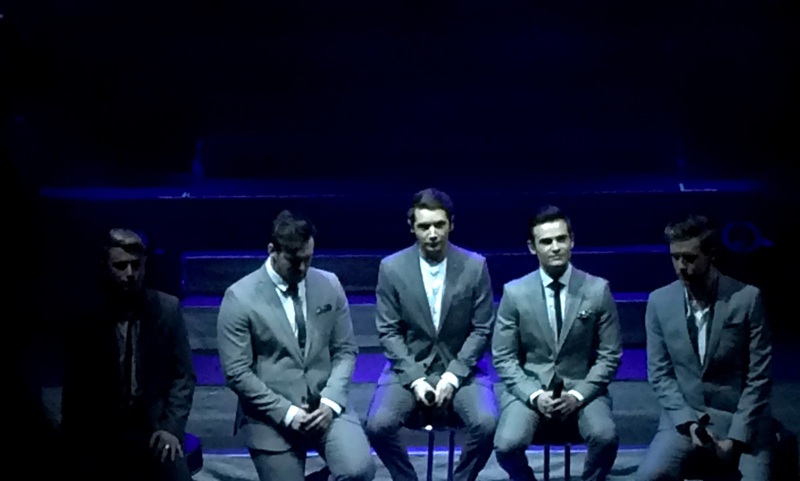 Just stunning when you hear it live and you could see the boys getting very emotional as they were singing it. 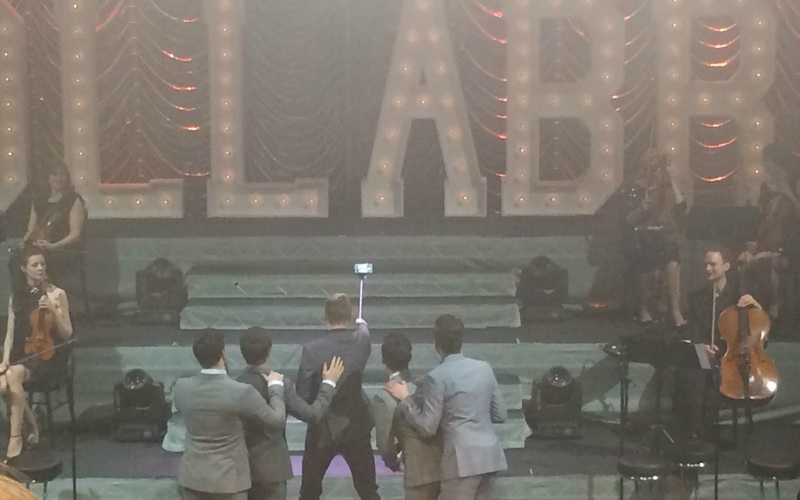 Photo of the boys taking a selfie with the audience. 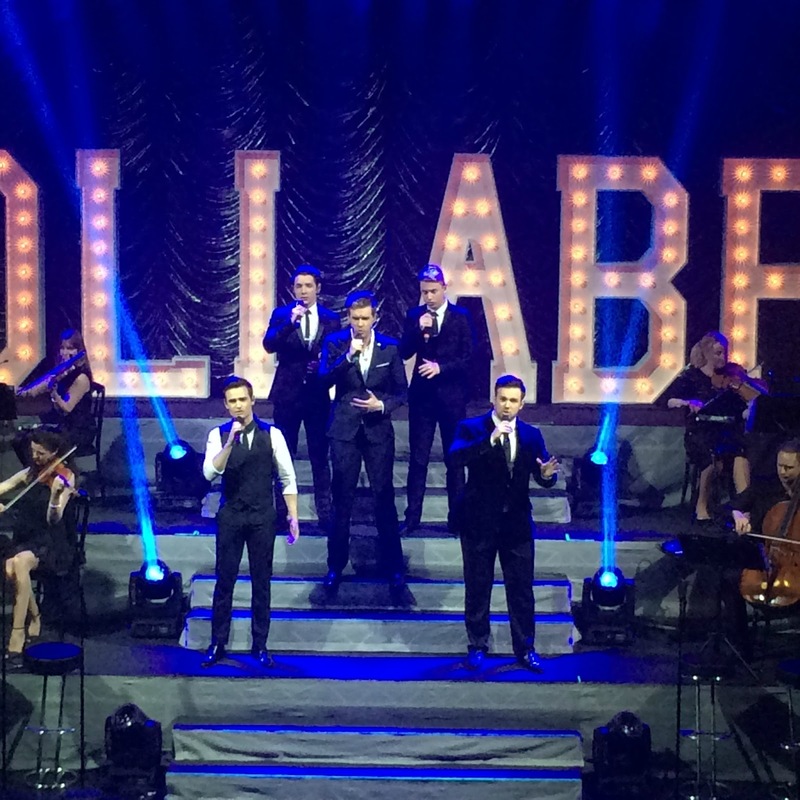 Have a look on their twitter (@CollabroGlobal) to see the full photo. I was actually able to spot me and my brother in the audience! The boys let the audience take a few photos of them at this part as like I said we were not really allowed to take photos during the show. Oops. I'll Be There from Friends. This was totally unexpected and an extremely good surprise. 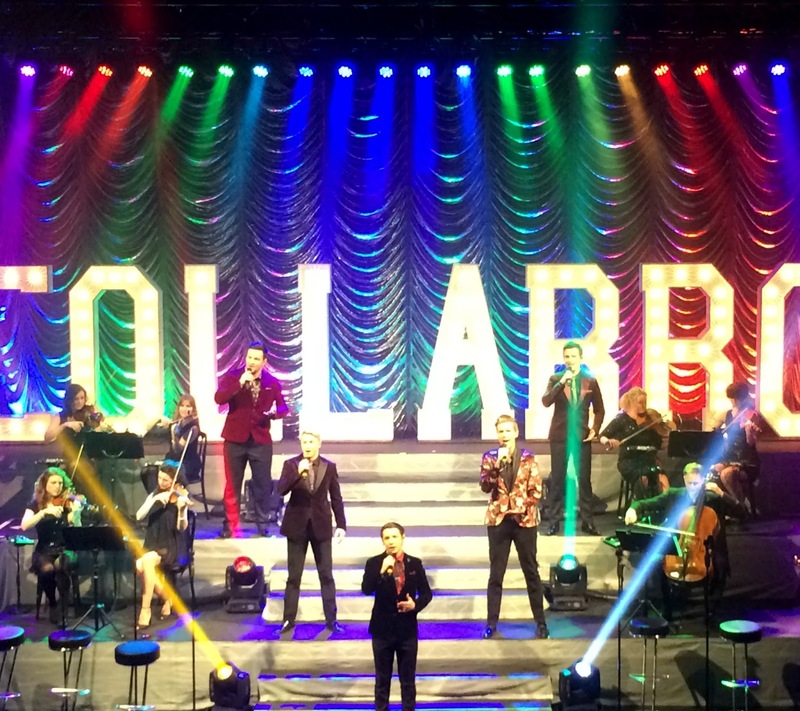 It is definitely a song that you wouldn't imagine being sung by them but they added a 'Collabro twist' as they like to call it to the song and it was absolutely stunning! Say Something (A Great Big world) - This was the song they performed at the Royal Variety Show in the exact same venue. Medley of Bring Him Home & I Dreamed A Dream which made me cry thanks to the way Michael started I Dreamed A Dream. The emotion in not just his voice but his facial expressions too was just incredible. 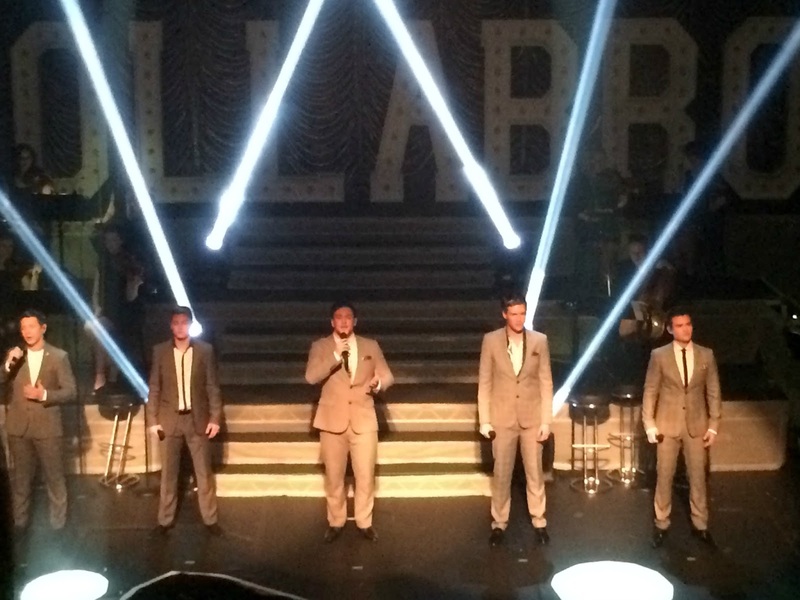 Final Song - Stars which they performed for their BGT audition and again in the final which made them the winners! What I loved most about this tour is that most boy band shows you go to you are greeted by thousands of screaming girls that you can barely hear the artists perform. 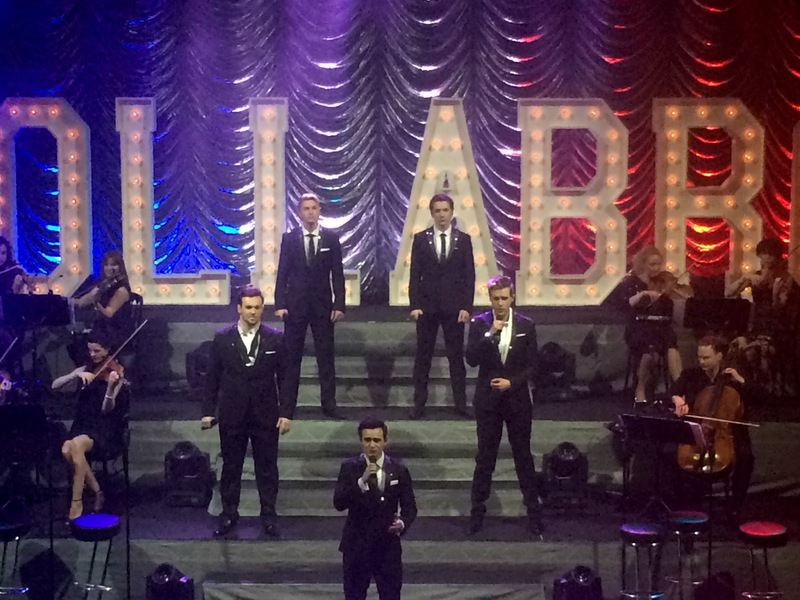 However Collabro are totally different in the respect that they appeal to audiences of all ages. When they sing there is no option but to stay completely silent as their voices are just so beautiful. Their voices are also just so emotional that when they are singing you have no choice but to just sit there and listen to every single word being sung. If you're like me you find yourself even singing along at the same time. Pretty sure I sang along to every single song in the show. Oops! But it really is very special. Since coming across these boys I have loved watched interviews and finding out about their journeys and lives and what inspired them to do what they are doing and I just find it both so interesting and inspiring. They have all been dreaming about getting into the west end but when that didn't work out tried something a bit different that was a risk but something that clearly paid off. It's so clear watching the show and listening to them that they are truly living the dream. They are so down to earth and genuine that it's easy to forget they are signed by Simon Cowell's Syco! 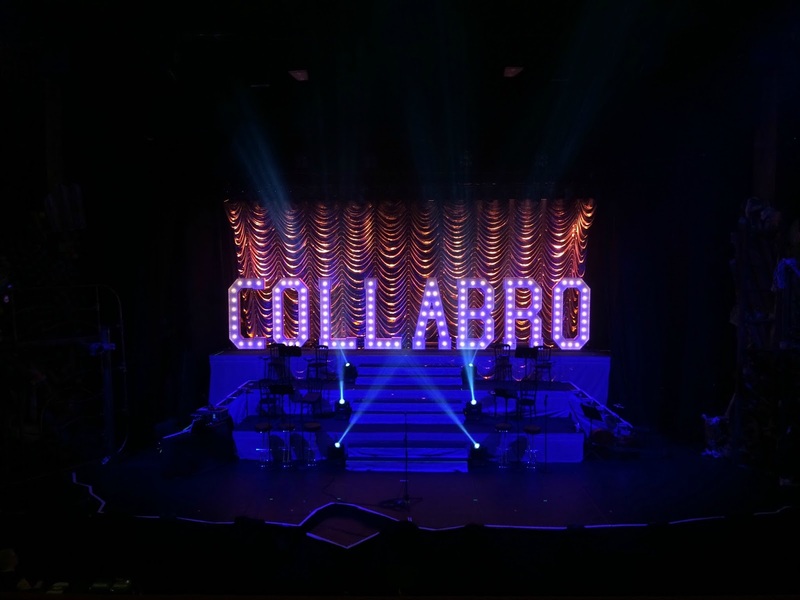 They are still touring the UK until the second week of March and even though most of their dates are sold out there are still a few tickets floating about. 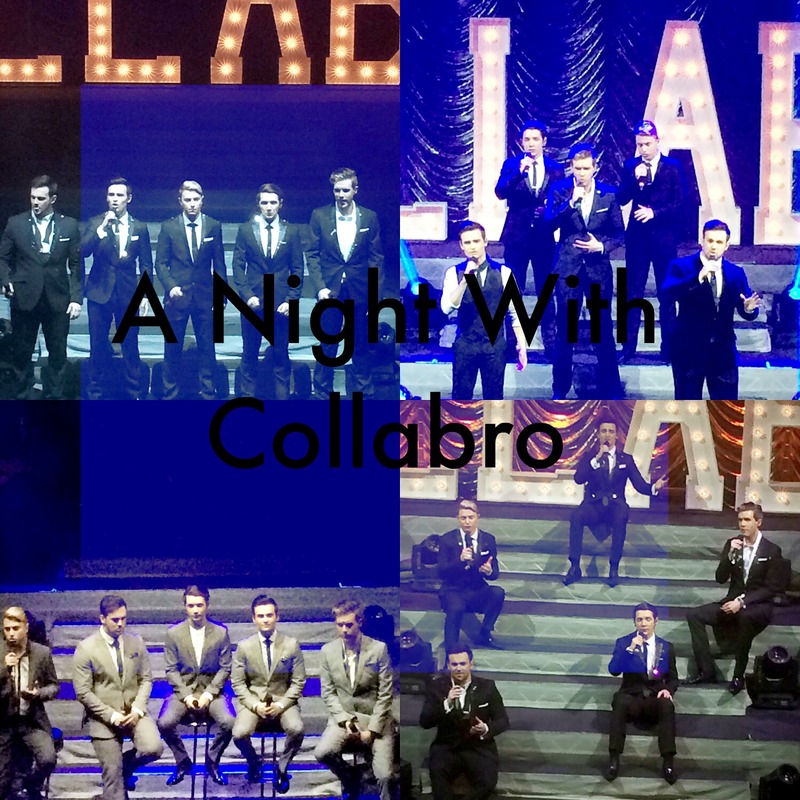 Scotland I know definitely has some still available so please grab them and go and see these guys live! It's truly an incredible experience and I wish I could explain how I felt at the end of it but you just have to experience it for yourself. If you haven't checked out their album yet I'd highly recommend it especially if like me you like musical theater and boybands! They have two versions of the album out but I'd recommend the special edition as it has more songs on it. Did you watch Britain's Got Talent last year? 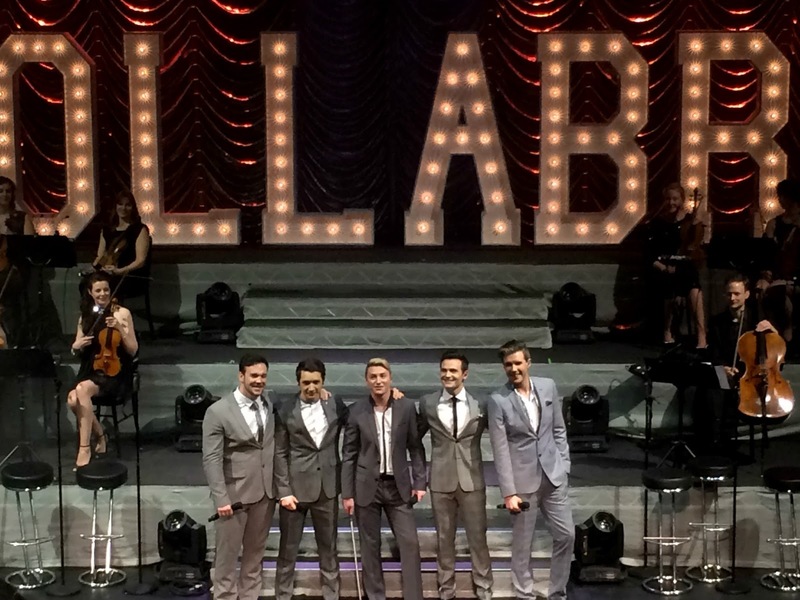 Are you a Collabro fan?